In all I love this pram and pushchair but I have the occaro jewel in black and the rose gold scratches easily within a week. Very easy to steer and fold. Pram part I don't think will be long enough till 6 month but the pushchair is from birth so can go up to that early if needed. Love love love our pram. It's colour, material it's made of is quality. Easy to use and flip away into the car boot. Wheels are durable and can be replaced, which is a huge thumbs up. 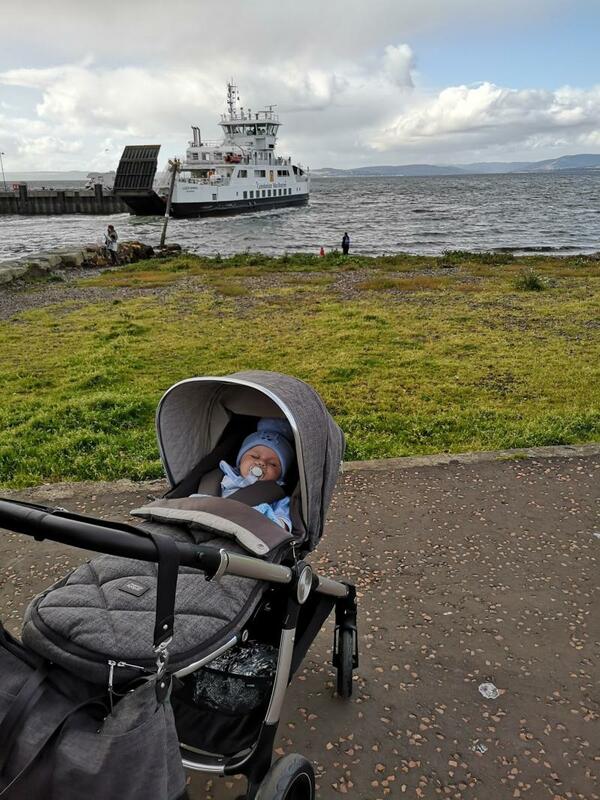 My little man moved into the pram seat at 4months as he didn't like lying down flat in the carrycot, but he seems to love it and sleeps easy in it, all snuggled up in the foot muff. The main strength for me is the fact this pushchair folds with the seat unit still attached. The handle to pick up whist folded can scrape your knuckles. I immediately fell in love with this pushchair when I First saw it in mammas and papas. It’s looks great and luckily also has loads of fantastic features to go along with the good looks. The ride is smooth, and it’s incredibly easy to use. I found it a struggle with most other pushchairs to remove the seat unit from the pushchair chassis. 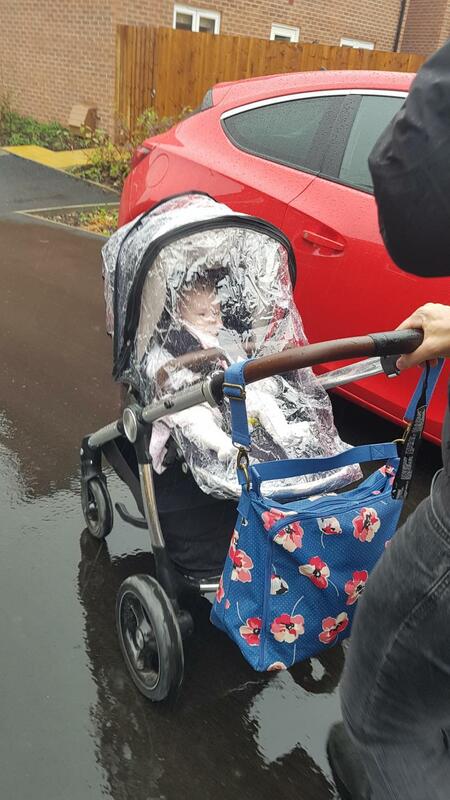 This isn’t an issue with the Ocarro due to the carrycot having a special handle on the back making it super easy. The whole unit can be folded with the seat still attached which is great as I find removing it to be quite tricky. The big wheels make going off road a breeze and the big canopy is fantastic at keeping the sun off little one! It is heavy but also sturdy. 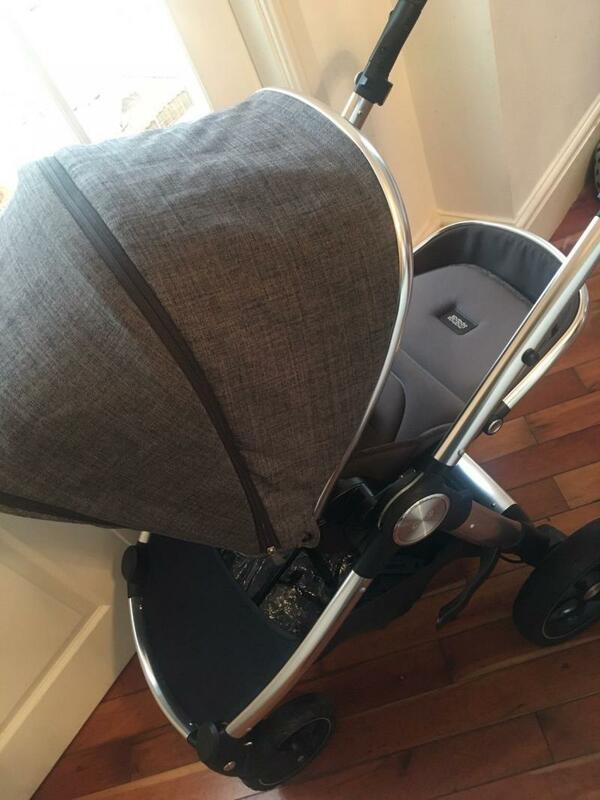 I would really recommend this peak to anyone looking for a stylish, easy to use pram. 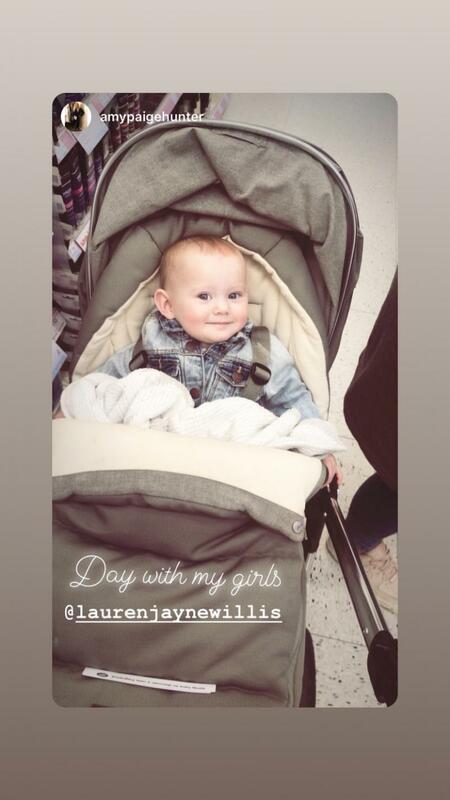 We bought this pushchair as a 6 peice bundle, I honestly don’t think I can fault this pushchair, it’s fab from birth and I have had my friends three year old in it and it’s still fab, easy to push on most terrains, my parents live on a farm in the middle of nowhere and it pushes as well on the tougher terrain as it does on footpaths and roads. It’s comfy and you can buy lots of accessories I.e footmuffs, seat covers which are fab also. Overall amazing pushchair and would be lost without it defiantly keeping for my second! 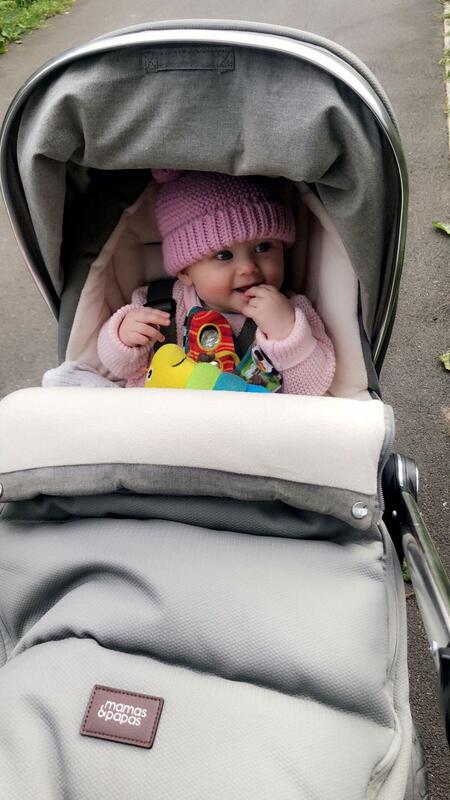 We bought this pushchair as a bundle along with the carrycot, car seat and base, it was very good value for money, we used the carrycot for 4 months (separately review) and then the seat unit from then on, this pushchair can be used from birth thanks to the lay flat option, what swung this pram for me was the size of the seat its huge, all my babies are really long so this was really important for me, its so easy to steer and although it is very lightweight to push when folded with the seat attached it is quite heavy. Overall i am very pleased with the product and would definitely recommend to anyone. Absolutely love love love this pram. So easy to steer and lo is safe and secure inside it. Although reccomended for lo to stay in lie down section I moved my lo into the sitting position at 4 months and he a solutly loved it. There was enough padding to ensure he was secure and safe inside. Although it does fold down quite small when picking it up take in and out of the car it is still a little heavy when the foot Warner etc is attached in the winter. Sturdy, Gorgeous to look at & Easy to use. It’s very heavy once folded. The handle that flips all the way over so that you can wheel the pushchair up to a table. The fact that you can fold the pushchair down with the seat still attached. The pushchair feels sturdy & can deal well with most terrains. This pushchair really looks the part too, and it doesn’t have the hefty price tag which is great!! The only down side I have found is, occasionally, the button to flip the handle can be a little tricky to use & the pushchair is very heavy once folded to lift in and out of the car. I would defiantly recommend this pushchair, I purchased the whole travel system in plum wine & I think it’s fab! Another feature that isn’t compulsory but that I love is the cup holder! Great for coffee addicts!!! I found the twist handle a bit tough to collapse the pushchair. Great product for the money. I got the whole package and such quality. Easy , smart and durable pushchair. Holds its money for when no longer needed. Cup holder isn't great, but a small price to pay! I spent a lot of time searching for the perfect pushchair for our family and little girl and chose this one due to a recommendation. I am SO happy we did! We have it in the mulberry colour and it's beautiful! It's easy to push, easy to pop little one in and out, the basket is massive and can easily fit everything we need it, absolutely love it! We purchased the Ocarro bundle and have been using it exclusively for 8 months now. I really like its strength and sturdiness and feel this outweighs the fact it’s slightly heavier than average when folded and attempting to put in a car. It does fold down well and fits in most car boots; the folding itself needs a little lesson to learn as there is a knack to it but once mastered it’s easy. 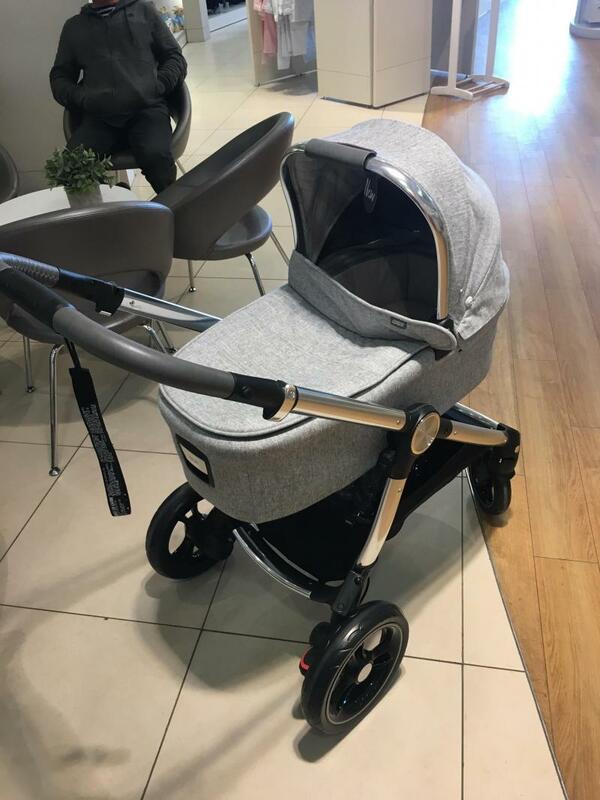 The pushchair has two way facing options and has 3 recline options including laying completely flat with a newborn insert so can be suitable from birth. The wheels themselves are what make this pram for me, they claim to be all terrain and my goodness that’s true! We have taken the pushchair on grass, gravel, sand and many more and it has treated us well every time! I would definitely recommend this pram to everyone! Lovely looking stylish pushchair, it’s easy push one handed and can be folded one handed. The weight of the pushchair is quite heavy to lift however feels very light when pushing around. The pushchair is very user friendly with a code that the silver parts move to change something. The pushchair is forward or rear facing and feels sturdy that it will last as baby gets bigger. So happy I bought the occaro. What an easy pram to monuvere, adapt and fold. When I was looking for a pram I wanted something that was easy to push, can be folded with one hand and adapts to put the car seat, carry cot and pram seat on. This does it all. Only downside I have found it the access to the basket is limited with the carry cot and seat in place. It’s a large basket so can hold a lot too! My daughter is so comfortable in the pram and with the footmuff she stays nice and toasty. I like that it can be parent or world facing, she’s only 4 months so haven’t progressed to world facing yet but I know she will love it! 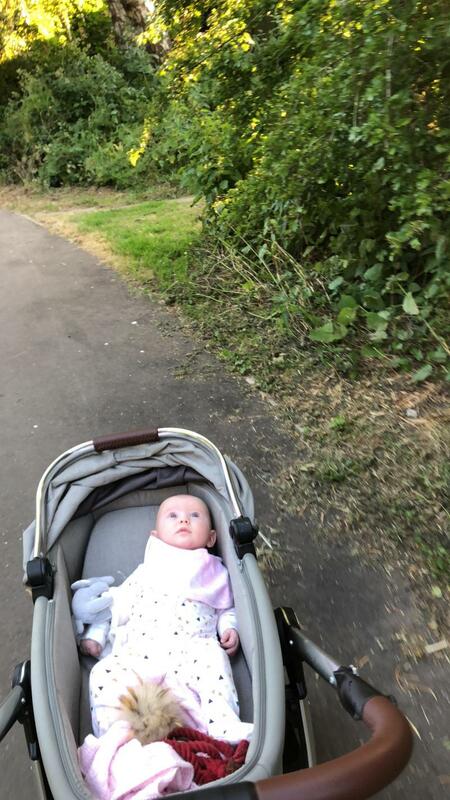 It’s brilliant the way it declines and caters for younger babies as my little one wanted to be nosey and at 2.5/3 months I had to change her to the pram as she wanted to look at everything! So adaptable, reliable and comfortable! So glad I made the decision to get this pram! I absolutely love the design of this pram. It’s aesthetically pleasing and a delight to push. As I have now had the product over a year it is becoming stiff to collapse and put back up. Overall amazing pram! It was the one I wanted from day one and the one I ultimately settled on buying. My little one is always super comfortable and the minor negatives are far outweighed by the positives! I love my Occaro Pushchair & my little boy loves being in it. He’s only 6 months old & still enjoys being parenting-facing but it’s good we can make it front facing for when he’s ready. 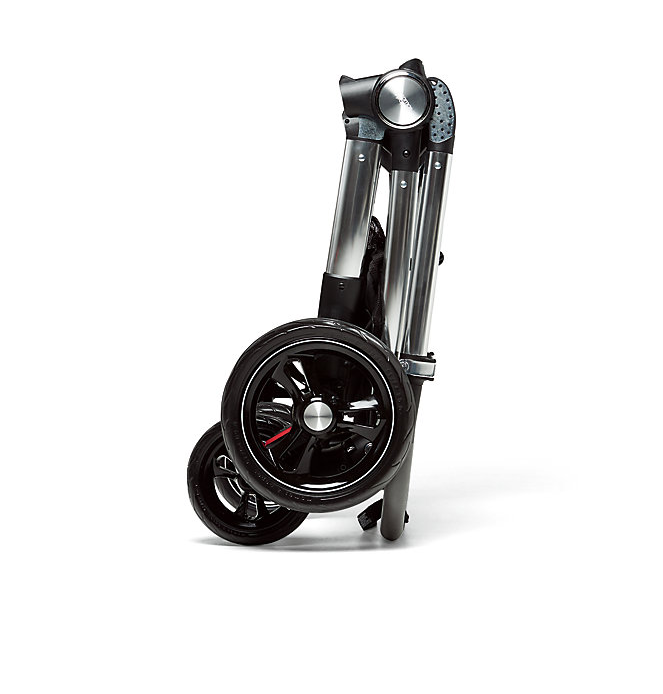 I love pushing it, it’s easy & glides well, not too heavy and folds down in seconds. I find it easy to fold down & it fits well into the car boot. The 3 in one travel system is practical & stylish & is perfect for the arrival of our first baby. Very easy to steer including one handed if you take a drink or using the phone. Seems very comfortable and mine came with the cost toes so was 100% ready to go from day one. 1- when the cost toes is attached the folding of the seat is trick and so collapsing take a lot more effort. 2- the cubes car seat which was sold for use with this pram is hard to detach from the chassis, not really the prams issue as it is a different manufacturer but it puts me off using in this mode when actually it would have been really useful. I love this pram, it’s looks great and feels really sturdy. It drives nicely and has great suspension, allowing my little one to sleep on even the roughest surfaces. The basket under the pram is fantastic, there is plenty of room to pack large items. Can be difficult to flat pack and it is also quite bulky to store. All in all good value for money, the pram in general is easy to use. Quick to erect and flatten one handed. A pleasure to use! I did a lot of research before buying this pushchair and I have been really impressed with my choice. I go for a lot of dog walks so wanted something that would be robust and easy to steer over all terrains. I have no problems steering this with one hand and find it easy to drive over all types of terrain. There is plenty of room in the basket so easy to take everything with me. 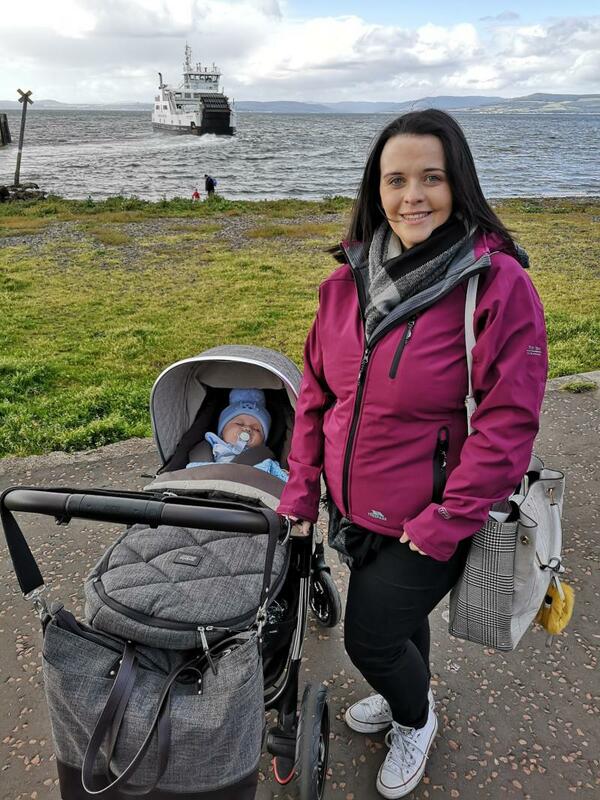 The main issues with the pushchair is firstly it is pretty large when folded, not an issue in my car but someone with a smaller car would struggle. Also I found it really difficult to remove the seat from the base. The clips would get stuck and would take a lot of wiggling to remove. Excellent push chair. I have the full travel system and have only recently moved from the cot to the pushchair. 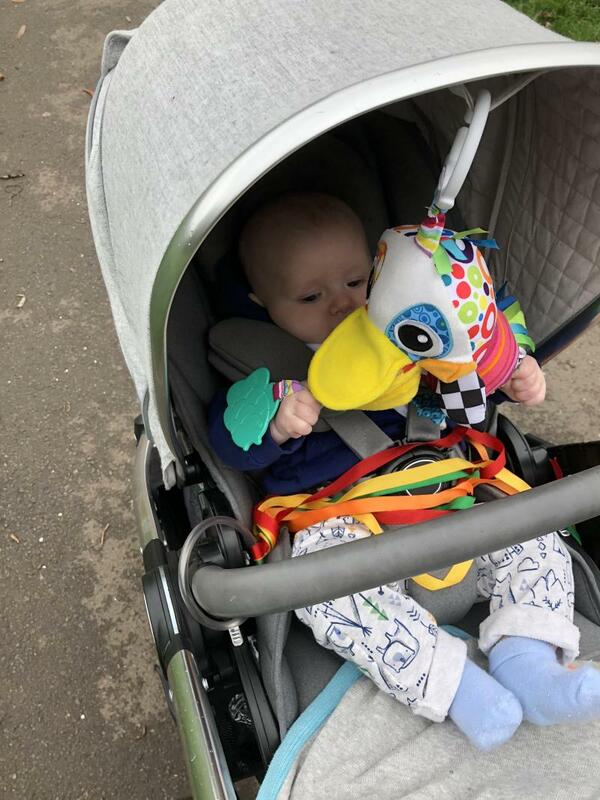 It is excellent to use, looks great, steers easily, and my baby loves it, despite wanting to be out all of the time, he is happy to be strapped in to this and have a great look around. Would 100% buy this again, and prefer it over peer choices for pushchairs. We absolutely LOVE this pushchair. 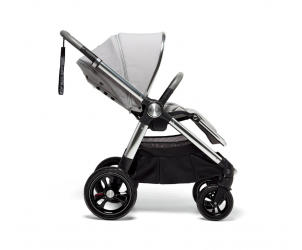 It's a robust, sturdy pushchair which looks great too. Little one seems comfortable in the pushchair and warm when the foot muff is on. It has a large sun screen which means a sun parasol is not required. It also blocks out distractions when a nap is required. Pushchair lies flat. It folds easily with seat component still attached. Although it is quite heavy. Large shopping basket underneath is very useful. Outstanding pushchair. We are so pleased we got the Ocarro. It has all the features we could want. It's so easy and smooth to manoeuvre (can be done one handed easily) It's easy to fold with one hand which is so useful with baby in your arms! There isn't anything I would change about this pushchair. Although it's slightly heavier than some others it's not a problem and can easily be lifted in the car, and it feels so robust I wouldn't change for it to be lighter. It looks smart too and is such good quality. So in love with my pram! It looks so beautiful! I always get people complementing me how lovely it is. It is ever so comfy for my little boy. The carrycot was beautiful and so is the pram. When he’s in the foot muff he looks so warm and cosy! Wouldn’t have chosen any other brand! I love this pram, it’s sturdy, easy to move, takes bumps in the path very well, has lovely big wheels. Has 3 reclining settings, completely flat which is great for newborns, partially sat up, and then fully sat up. At 5 months by daughter is now partially sat up and loves to look around. You can extend the hood to ensure they are not in the sun, easy to strap baby in. My daughter loves being in her pram, she doesn’t fuss at all. Bought this as part of the Mamas and Papas 6 piece bundle offer. Love how easy it is to manoeuvrer and built to last for sure. Does take up a lot of space in car but otherwise no other negative issues with it. Baby sleeps and travels happily in it and as a petite woman I find it is easy to assemble and fold away effortlessly. Not much force is needed to move it though it looks hefty. Love how stable and stylish it is with spacious room for baby to grow into. 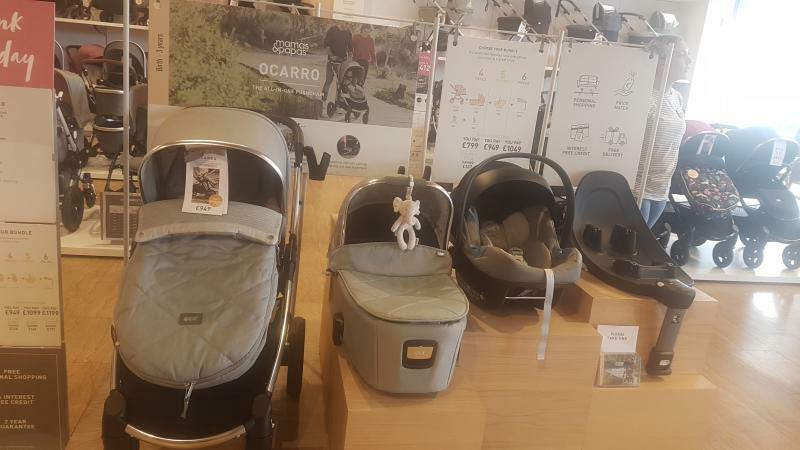 The Mamas & Papas Ocarro Pushchair has big wheels and dual suspension to navigate through the urban jungle, quiet parks and the great outdoors. With a plush seat and pillow, your baby will be comfy at all times.